Like Mothercare Facebook Fanpage (www.facebook.com/MothercareMalaysia) and the Contest post. Answer 2 simple questions, complete the slogan and send your full details (name, telephone number and email) to contest@mothercare.com.my. Share this post to your family and friends. 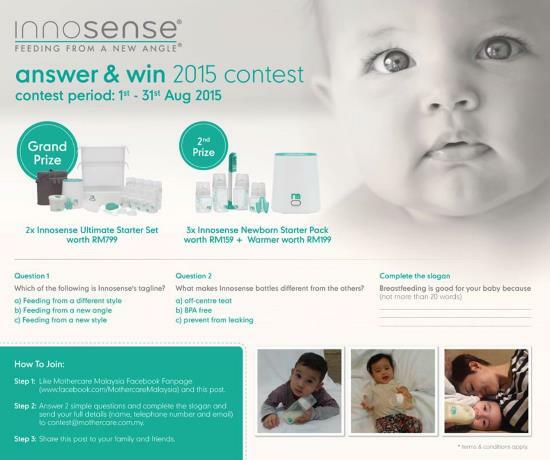 Visit Innosense "Answer & Win" Facebook Contest page for more details.